126 (City of Derby) ATC has a long history in its connection with the Royal Air Force. 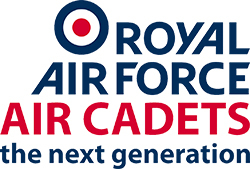 However, that does not mean we expect all our cadets to go on to careers within the RAF. Many of our cadets over the years have left us at the end of their term to pursue careers in the Police, engineering, nursing and the Army as well as many other roles in society. We have been, and continue to be justifiably proud of the achievements made by our cadets thanks, in no small part to the many activities and opportunities that being part of a proud and dedicated organisation such as the Air Training Corps can offer. If you would like to learn more about the opportunities and activities that we have on offer at 126 (City of Derby) ATC please call today on 01332 754721 or use the contact form here to arrange an introductory visit to meet us at the Squadron HQ on Curzon Lane, Alvaston, Derby where you can be assured of a warm welcome.